Wolfsburg / Shanghai / Berlin / New York, (April 18, 2011) /PRNewswire/ — When the first Beetle rolled off the production line, it was called simply the Volkswagen — “the people’s car” — but its distinctive shape inspired nicknames across the globe: Beetle, Käfer, Vocho, Coccinelle, Fusca, Maggiolino or ! In total, 21.5 million cars were sold. 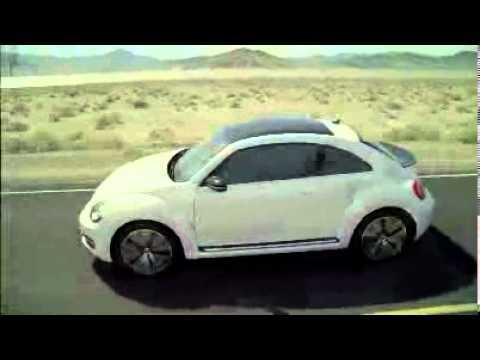 The 2012 Beetle is an automotive icon reinvented. Placing the original Beetle and the 21st Century Beetle next to one another, it’s clear that the lines of the rear sections are nearly identical, but the overall look is bolder and more dynamic. The Beetle also breaks free of the design geometry defined by three semi-circles (front wing, rear wing, domed roof above it). 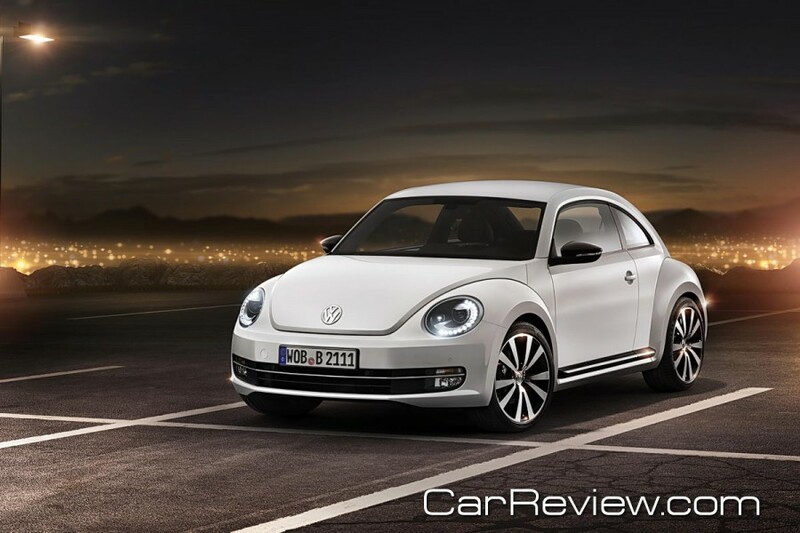 “The Beetle is now characterized by a clean, self-confident and dominant sportiness. The car not only has a lower profile; it is also substantially wider, the front hood is longer, the front windshield is shifted further back and has a much steeper incline. All of this creates a new dynamism,” explains Klaus Bischoff. The 2012 Beetle is 71.2 inches wide (3.3 inches wider), 58.5 inches tall (.5 inches lower) and 168.4 inches long (6 inches longer). The new focal point is the C-pillar. The development team also increased the car’s track widths and wheelbase. All of this gives the Beetle a powerful appearance with muscular tension. Another feature is the rear spoiler that is integrated into the design (standard on 2.0L TSI engines with 200 hp). The top surface of the rear spoiler is black, while the underside is painted in body color. The Beetle is sportier, offering both turbo-charged TDI® Clean Diesel and turbo-charged gasoline engines, in addition to dual exhaust, performance-handling packages, 19-inch wheels, sport seats and new, sleeker styling. Volkswagen will offer a panoramic roof, a range of audio options, including the Fender® Premium Audio System, and a customization program for the 2012 Beetle with a large number of personalization options, including a wide variety of colors and wraps along with an annual theme model. Smart Car Safety: How Does It Rate?